French Country interior lighting comes in many styles just like French Country exterior lighting on last Friday's French Design on Friday. 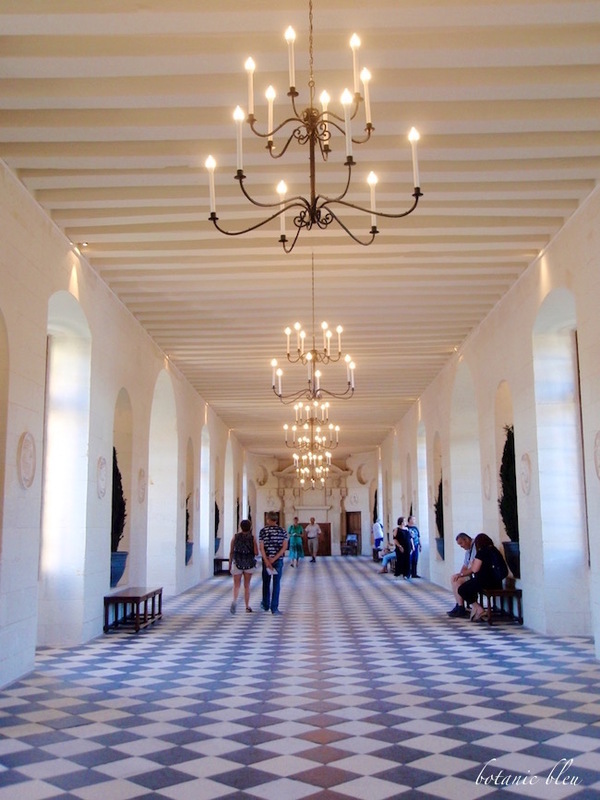 A French château is one place to look for authentic French design for interior lighting and no château better to view than my favorite, Chenonceau. Are you looking for exterior lighting with distinctive French design for your home? Where do you research for ideas of lighting to use? 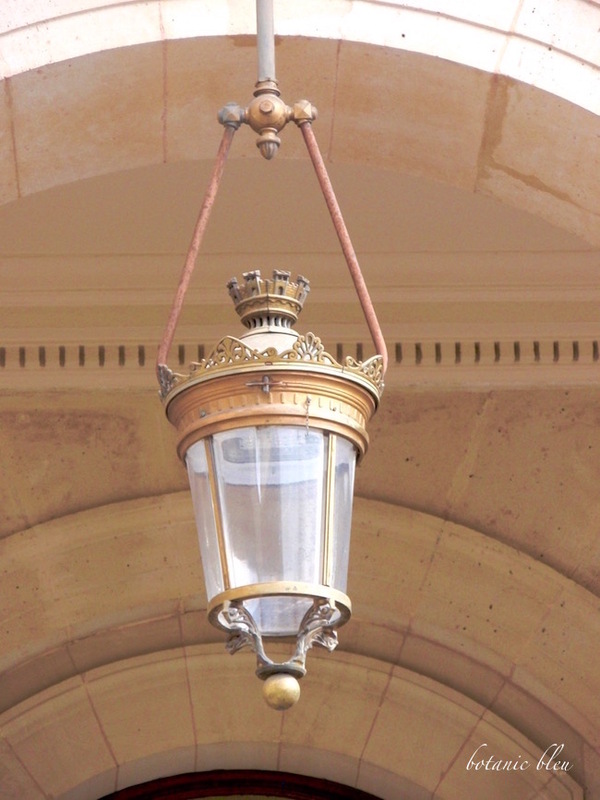 There are scores of lighting sources on the internet, but are the fixtures offered genuine French style? French country design is popular with interior designers, home builders, and bloggers. 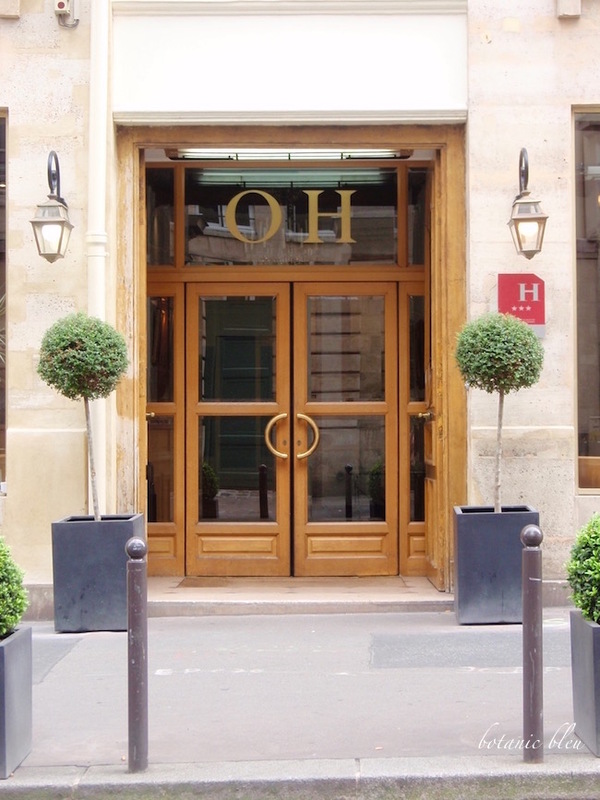 All offer their interpretations of French design. If you want your home to have authentic French design, start by looking at materials used in France. Go to the primary source for design ideas. 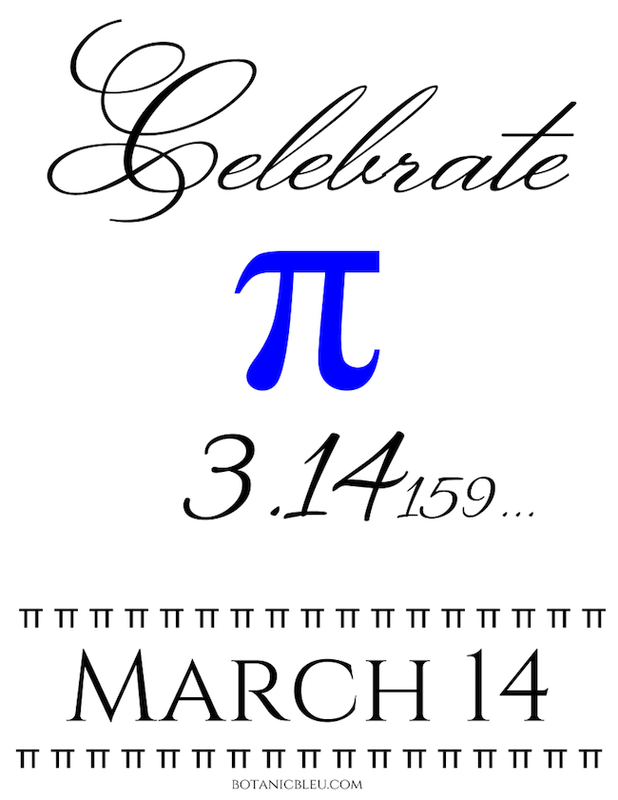 March 14 is known as Pi Day because 3/14 are the first three digits of Pi (π). Topiaries are all over France, not just in Paris, and come in all shapes and sizes making them one of the most common of all French designs used in gardening. 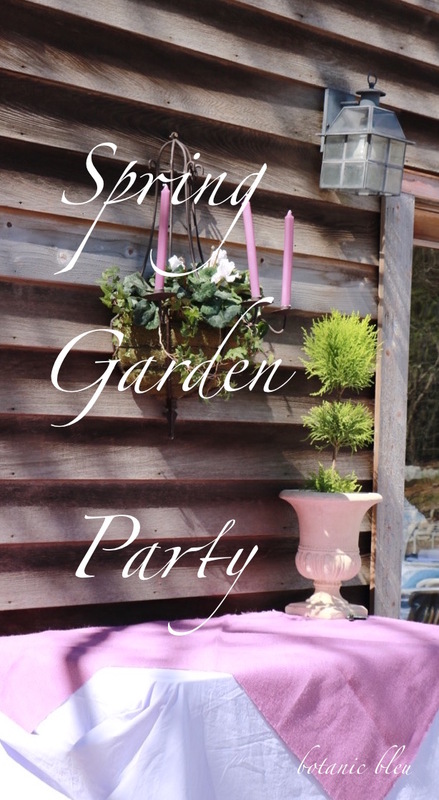 Whether you have a city garden or a country garden, topiaries add French style. With Spring less than two weeks away, now is the time to consider adding topiaries to your landscape... to your garden, your deck, your patio, or your driveway. 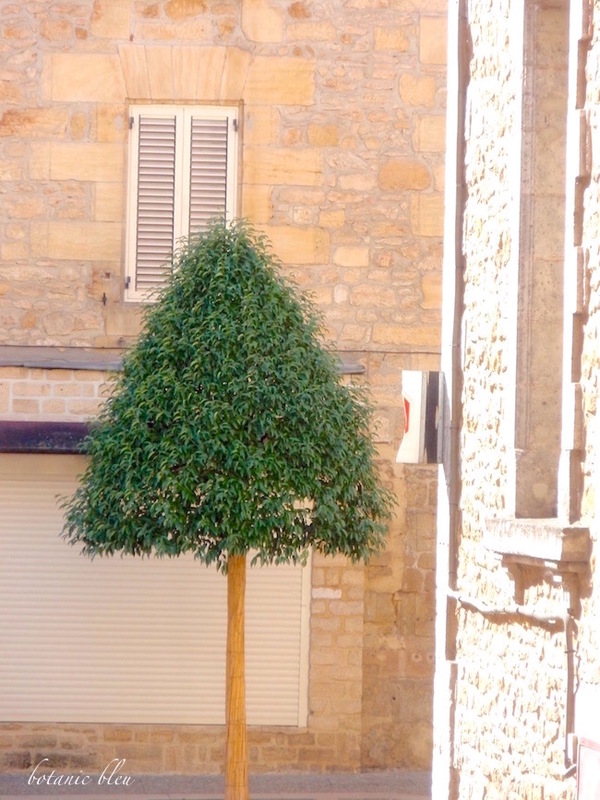 Take a look at photos of topiaries in Sarlat, France for inspiration in designing your own gardens. Sarlat, France is one of hundreds of beautiful French towns that survived modernization over the centuries. 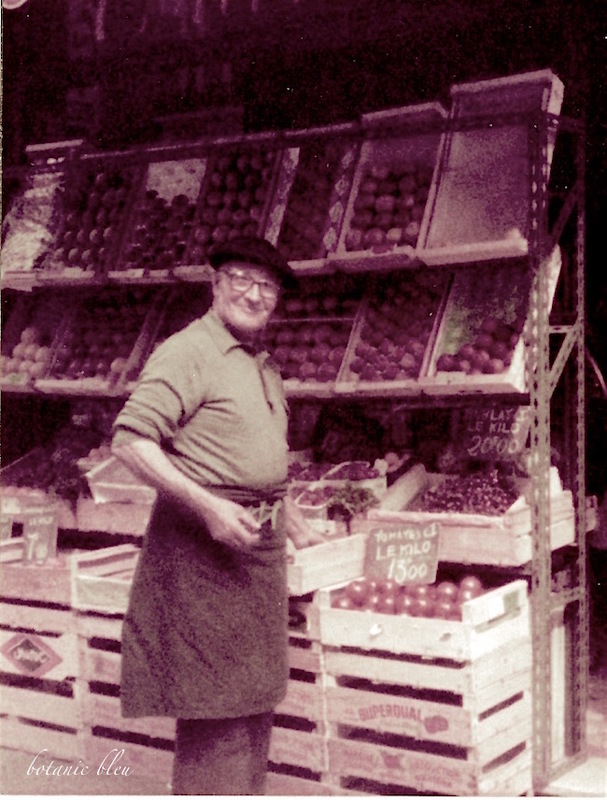 And is one of my favorite French towns that I visit over and over again. Its creamy-colored old stone buildings line narrow streets designed for horses, carts, carriages, and people. Part of its charm comes from manicured trees trimmed into topiaries along the streets. Over a decade ago a long journey of changing the American Country look of our house to a French Country look began with the kitchen and is still a work in progress. This spring, changes for a new French Country look are coming for the guest half bath. To help me decide what to change to get the look I want, I took several before photos of the bathroom. 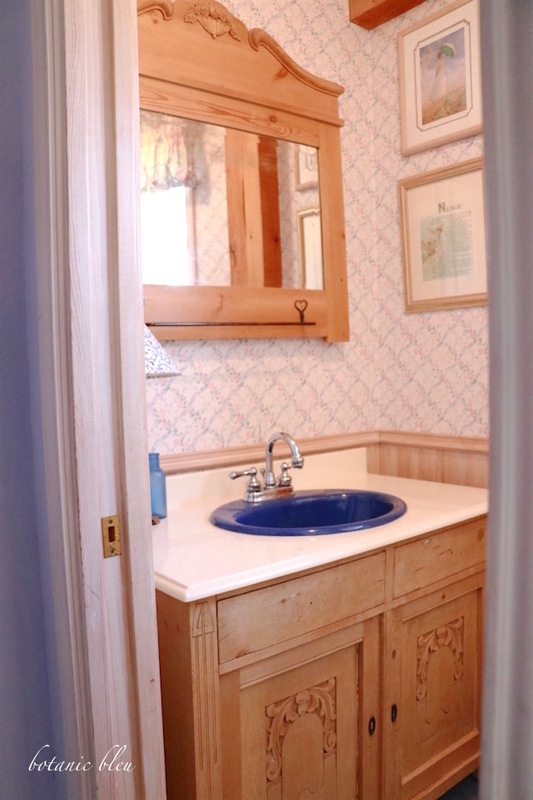 Here is how the guest half bath looks now with an American Country look. When we built our house, I drew the house plans on graph paper. We toured a sawmill company in western Massachusetts, and they used my hand-drawn plans to create builder's blueprints and to cut the posts and beams for the framework of the house.